are flexible and tailored to your specific needs. delivery of both small and large scale, complex events. 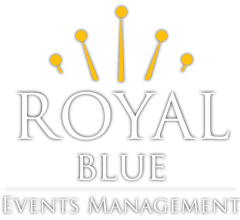 At Royal Blue Events Management, we believe every event varies and so do their requirements. Sometimes we are asked to take on the full planning and execution of an event and at other times we are required to take on specific elements to help bring a project together. We can do as much or as little as is required. Our flexible, bespoke service means you can focus on your goals and get support in the areas you need help the most. We provide our services to a variety of different organisations including associations, non-profits and corporates. Click below to review our list of services. The initial step towards a successful event is to understand what outcomes will deem the project a success. On many occasions this consultation not only helps us, but it also helps you to clarify exactly what you hope to achieve and your overall vision. This stage is usually carried out through one or more meetings via telephone or in-person. Once all tasks and responsibilities for the project have been determined, we will move forward with our four-phase project management approach based on your specific needs. This detailed approach is designed by a professional project management team to assist with the accurate and timely delivery of your events.